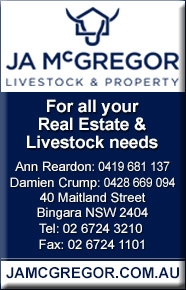 The Bingara Historical Museum Complex comprises several buildings other than the Museum itself. One houses an extensive photo collection which the Bingara District Historical Society has catalogued and another houses a fascinating collection which comprises fossils, minerals (Australia wide), sea shells and birds eggs. 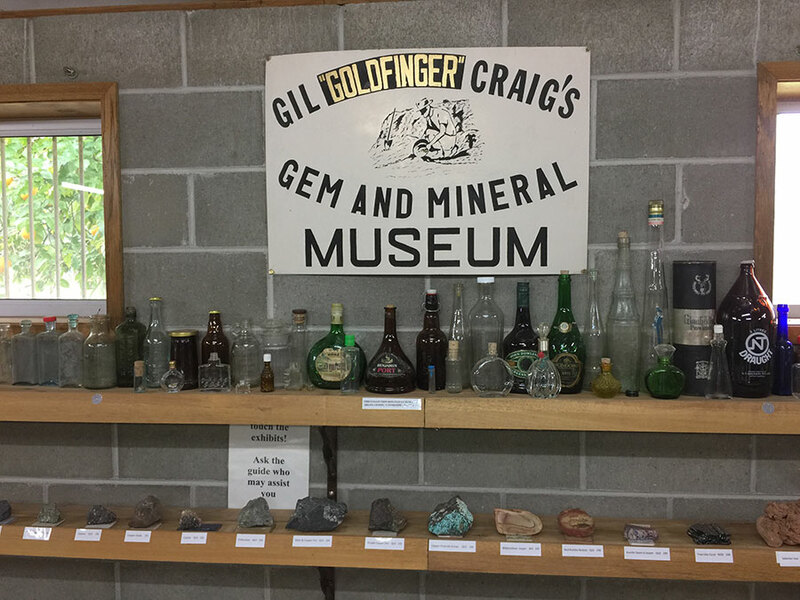 A sign Gil “GOLDFINGER” Craig’s Gem & Mineral Museum takes pride of place on the centre wall as you enter the museum as it was Gil Craig, a local geologist, who donated the majority of the collection to the museum. 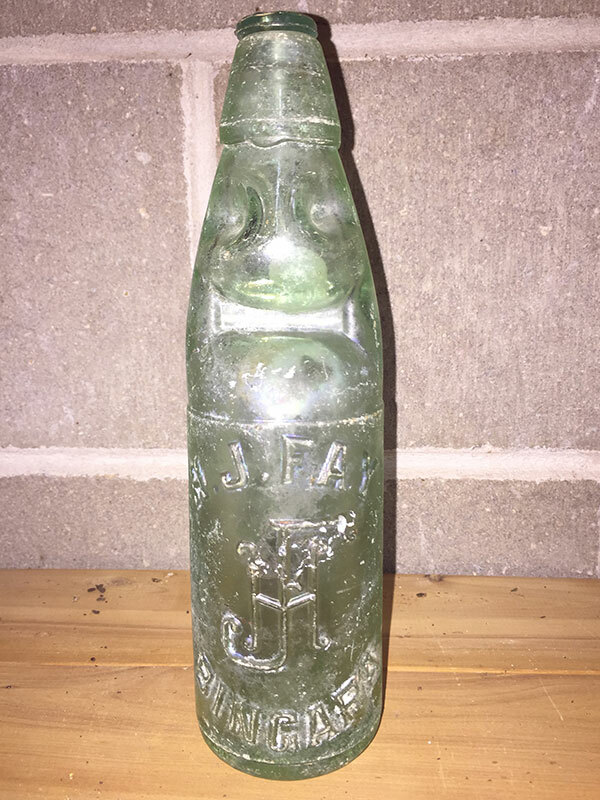 A great example of some fascinating finds in the museum is this bottle made for H. J. Fay, Bingara. 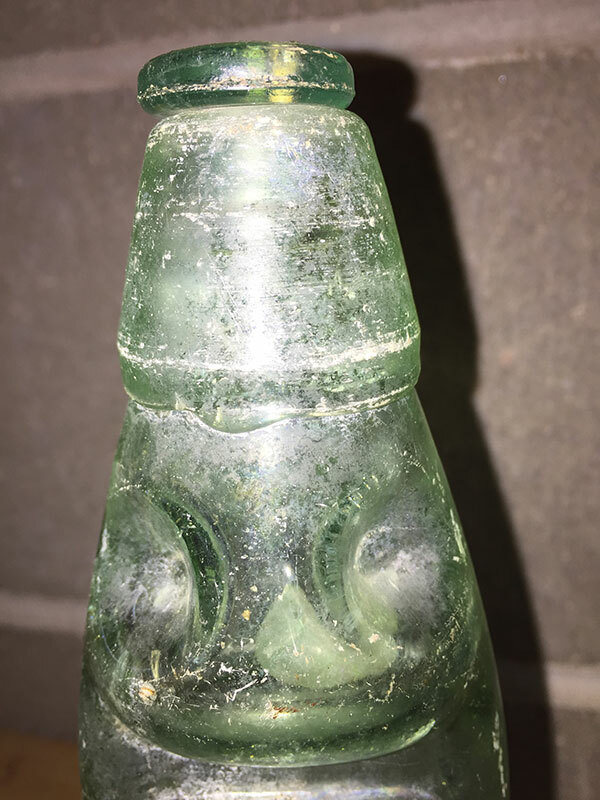 It is no ordinary bottle, the top is sealed bar a few holes which released the liquid and in the neck of the bottle sits a marble. The only way to access the marble was to break the bottle. Members of the Historical Society are also responsible for the opening of the Museum and as volunteers, opening times are difficult to maintain. 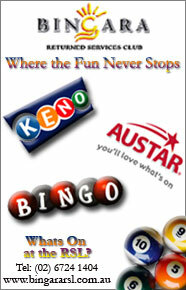 However, you may contact someone on the list below to arrange a visit. If you are in town and the museum is unattended please refer to the contact list near the front door and someone on the list can meet you at the museum. Facilities include guided tours, shop and toilets, family history research. * Other times by appointment. For bookings or to arrange a visit in advance please email bingaramuseum@gmail.com rather than phoning people on the contact list.